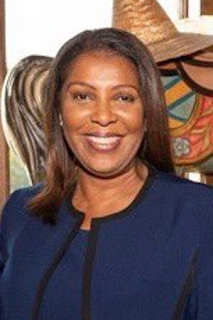 NEW YORK – Attorney General Letitia James today announced that Spectrum (formerly Time Warner Cable) has started to issue credits to New York consumers as required by Charter Communications, Inc.'s December 17, 2018 settlement agreement. The settlement agreement resulted from an action brought by the Office of the Attorney General alleging that the company failed to deliver customers the reliable and fast internet service it had promised. Under the terms of the settlement, Charter is required to issue monetary relief to qualified subscribers and offer video streaming services, described below, at no charge. In all, qualified subscribers will receive $62.5 million in bill credits. Subscribers do not have to fill out any paperwork to obtain the credit, but must contact Spectrum to receive the streaming services. The Attorney General wants to ensure that all eligible subscribers are able to receive the no cost streaming services. We encourage subscribers to share their experience redeeming the offer by completing this survey.